With the rising frequency of diseases that affect our digestion, choosing the right foods to support our bodies is more important than ever. You might suffer from acid reflux disease, irritable bowel syndrome (IBS), Crohn's disease or any other digestive complaint. Whatever your digestive troubles, you should take the time to learn about super foods that can support healthy digestion. Even those who generally have healthy digestion can benefit from choosing super foods, especially following a day of a greasy meal that may have left them with an upset stomach. Oatmeal is a super food for most people, whether that's a healthy person or one who suffers from a disease of the gastrointestinal tract. In particular, it is rich in fibre and can improve bowel functioning. It tends not to irritate conditions such as Crohn's disease and irritable bowel syndrome in most people. Rice is an easy food to digest. It is often one of the first foods to be recommended by healthcare professionals when a person has gastrointestinal discomfort. It is an important source of energy in the diet and when you choose brown rice, you get the added benefit of more fibre. 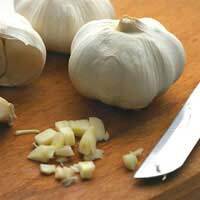 Garlic is well-known for its immune-boosting properties. Many people may not know that it is also thought to help boost immunity in the gastrointestinal tract, offering powerful support for disease prevention. Studies suggest is may have a protective function on the immune system. While some people with diseases of the gastrointestinal tract find that specific herbs or spices trigger diarrhoea or constipation, others can benefit from some herbs or spices. Ginger and peppermint are thought to be beneficial to digestion. Others are based on Ayurveda principles. Those that are thought to be beneficial include fennel and anise. While there is little science to back up these claims, there is still a great deal of anecdotal evidence to suggest that these spices may benefit digestion. Again, those with diseases of the gastrointestinal tract can find that it's a 'hit or miss' situation in terms of spices and herbs. Yogurt contains probiotics, the 'friendly' bacteria that are helpful to digestion. For most people, including yogurt is a good way to support a healthy gastrointestinal tract. It should still be noted, however, that there is some research to suggest that probiotics can worsen pancreatitis. If in doubt, check with your doctor about taking a probiotic supplement as these can contain high levels of probiotics. Yogurts are generally a safe way to get probiotics but in a lower amount. For most healthy people, fruits and vegetables are an excellent way to get the twenty to thirty grams of fibre each day that you need. They help keep things 'moving' in the digestive tract and also contribute many enzymes and nutrients beneficial to a healthy gastrointestinal tract. Those with irritable bowel syndrome or Crohn's disease can usually benefit from consuming a wide range of fruits and vegetables. There may be some of these foods, however, that do tend to trigger symptoms. It is an individual experience and you may find that keeping a food diary helps you find out the best diet to improve your digestion. We all have those times when we eat too much or have a meal that is high in fat, leaving us feeling uncomfortably full or bloated and gassy. Others struggle regularly with diseases of the gastrointestinal tract. Try some digestive super foods to help digestion and get you feeling more like yourself again.